Allows for rapid change of adaptors to accommodate multiple aircraft. Set of 2 collars for adding pre-set stops to adaptors. If you have multiple aircraft that require different adaptors, there is an easy way to quickly swap adaptors while preserving your alignment settings. Now, you can quickly swap between adaptor sets! Go from Baron 55 to Cessna 210 to Navion in seconds! 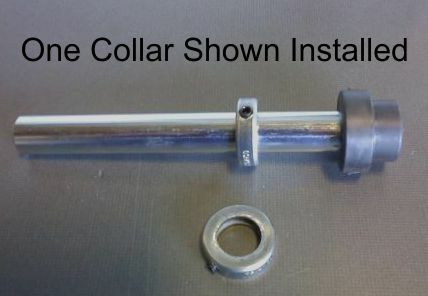 Remember to get one set of collars for each set of adaptors.